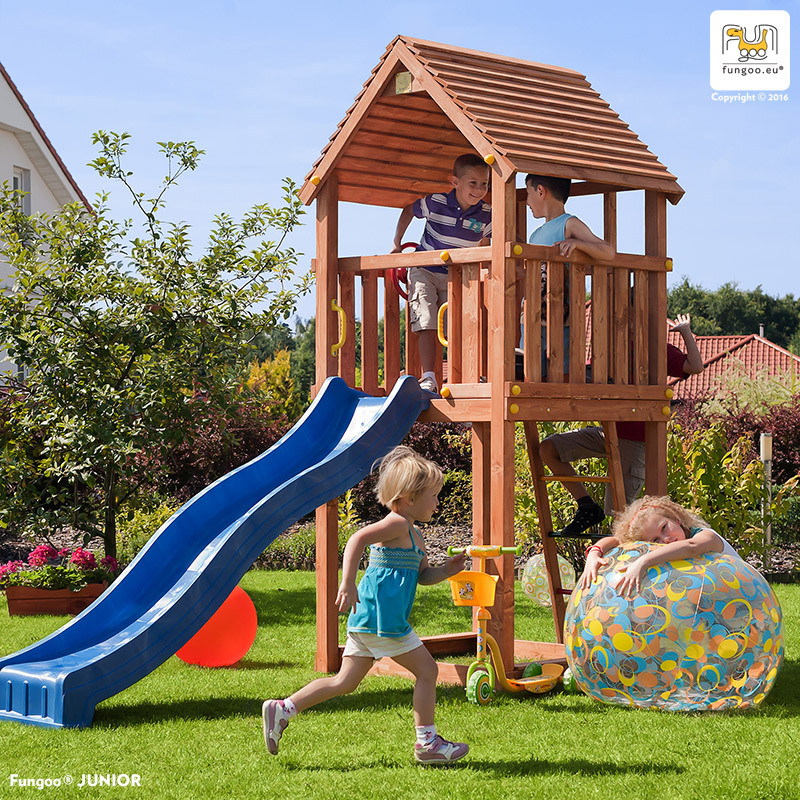 There are plastic playgrounds available at the market – plastic sandpits, houses, constructions of wood-based materials or metal playgrounds. 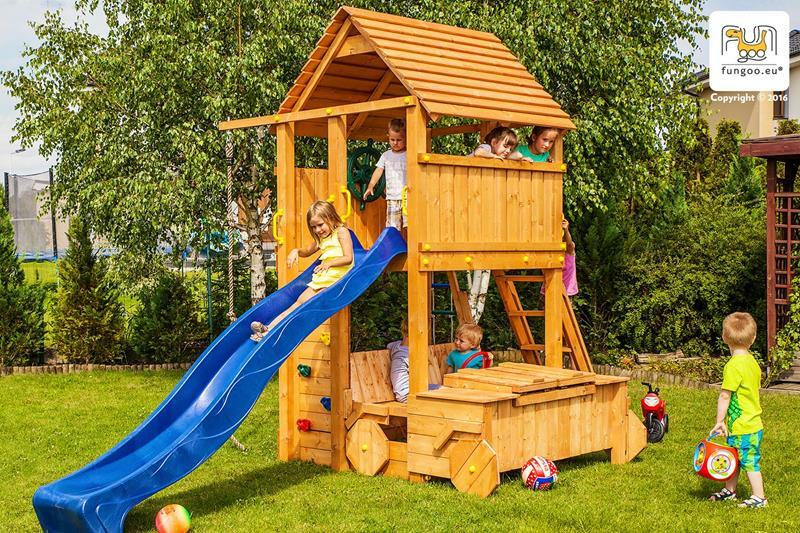 However, the best solution for house gardens is a wooden playground. 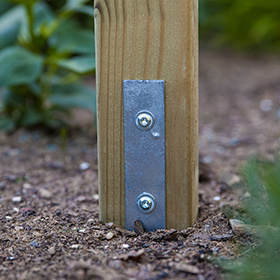 It is safe and nice to look at. 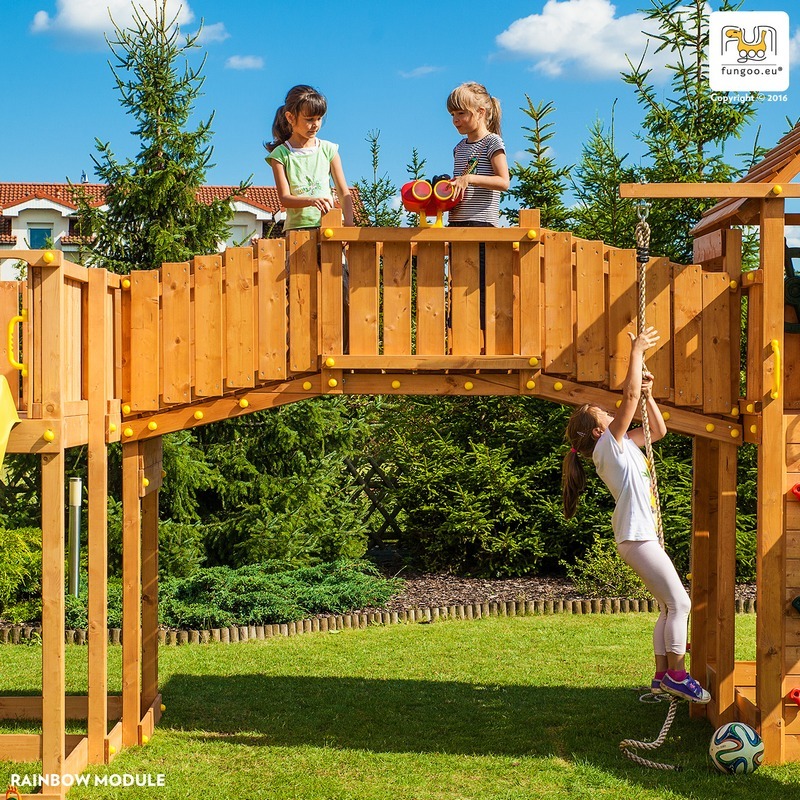 Giving the wood colour and maintaining its visible structure, we obtain a unique aesthetic quality. 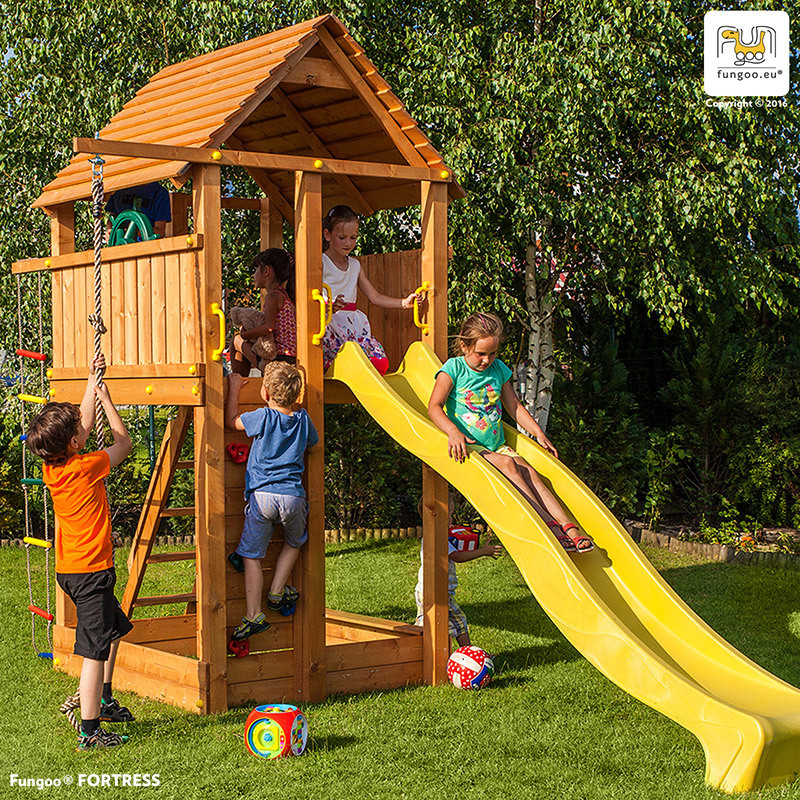 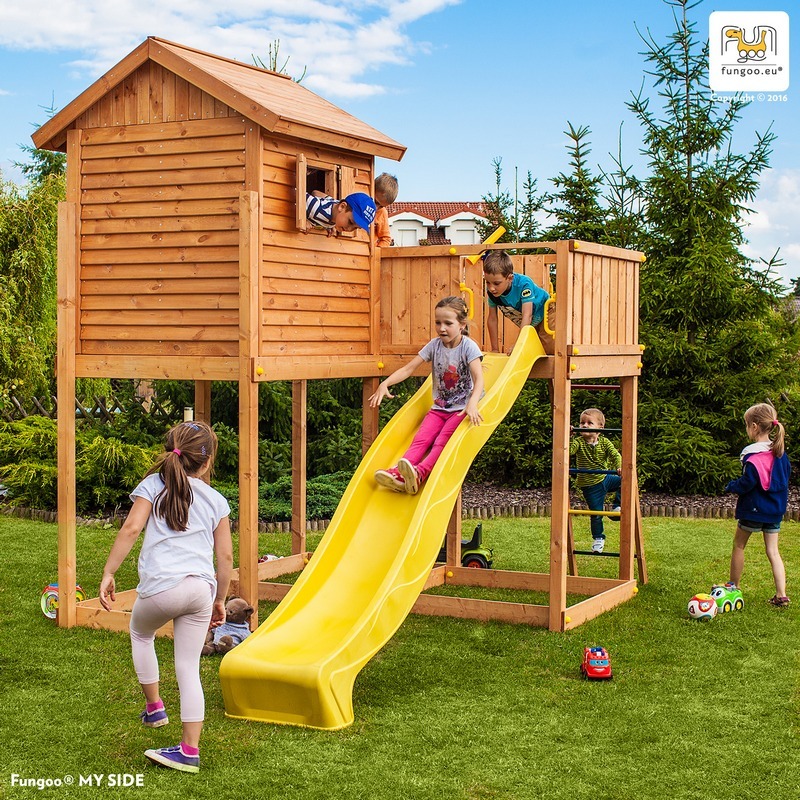 swings, slides as well as developed constructions with wooden towers, modules and accessories – all the things we offer as playgrounds producers. 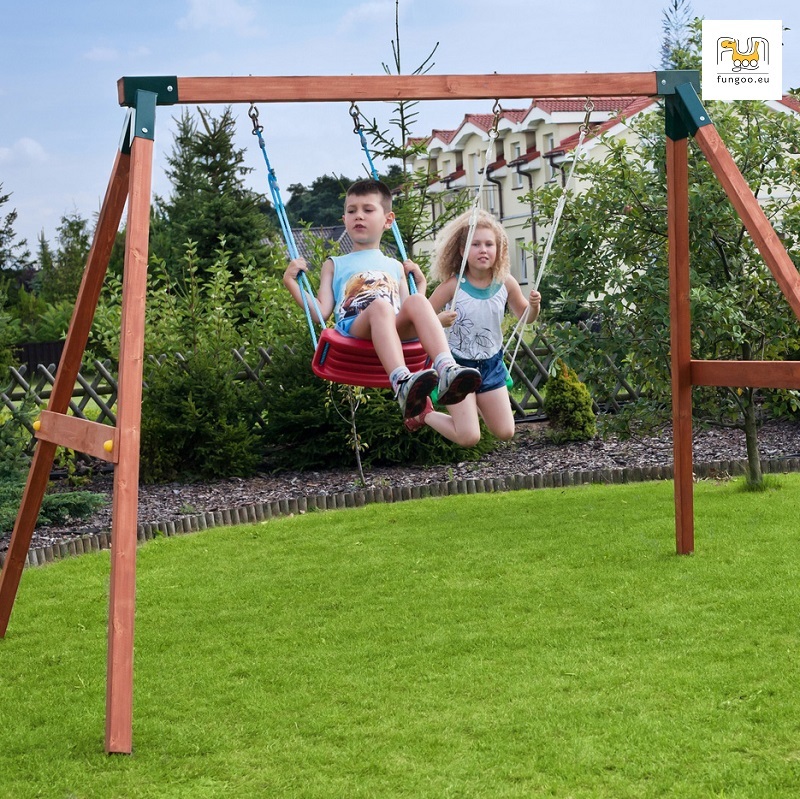 Whether you are interested in a comprehensive wooden playground or in a common garden swing or house for children – the most important thing is to ensure their safety. 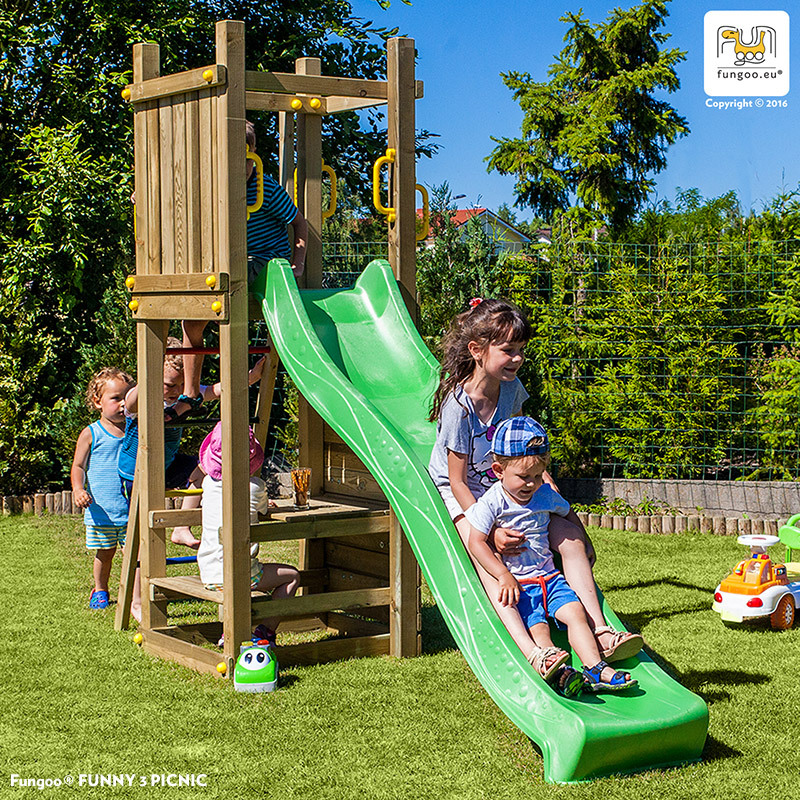 Choosing FUNGOO you choose safe playgrounds (in accordance with the most current versions of EN:71 standard). 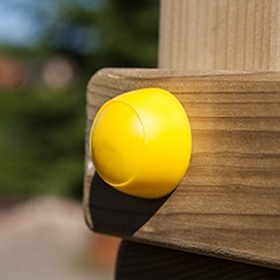 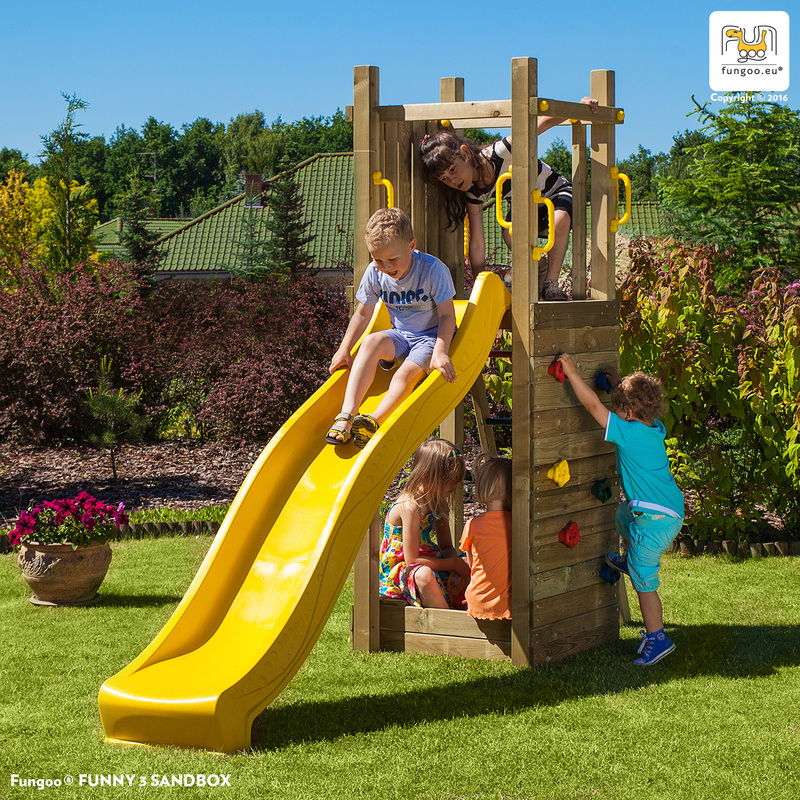 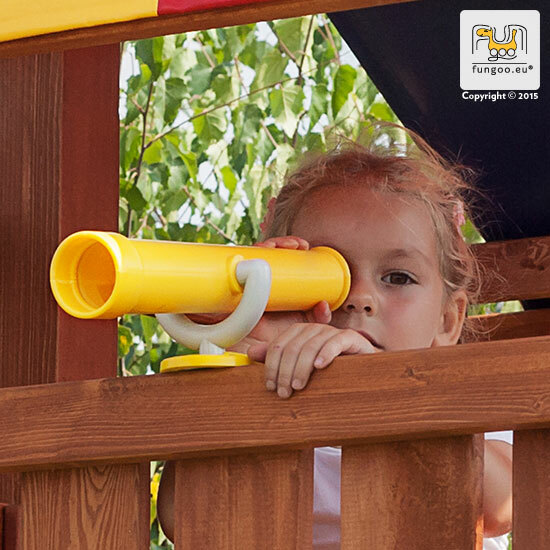 Fungoo ® SAFE WOODEN PLAYGROUNDS FOR YOUR CHILDREN. 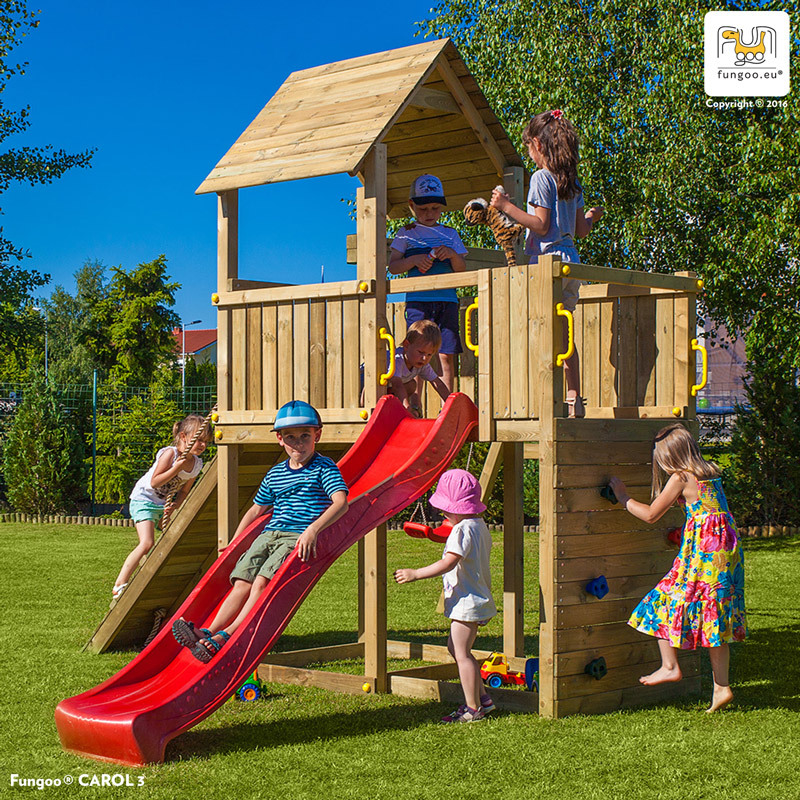 FUNGOO – wooden playgrounds. 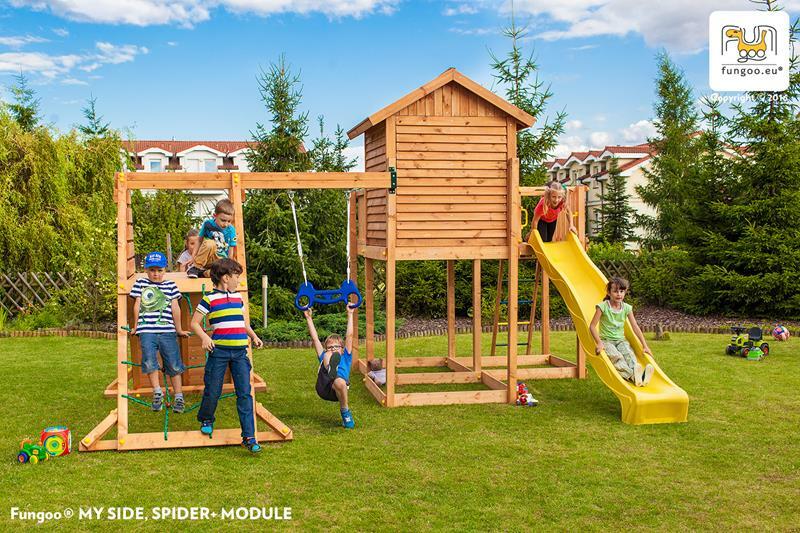 They are wooden module systems comprising: towers, garden houses, plastic slides, modules, and playground accessories. 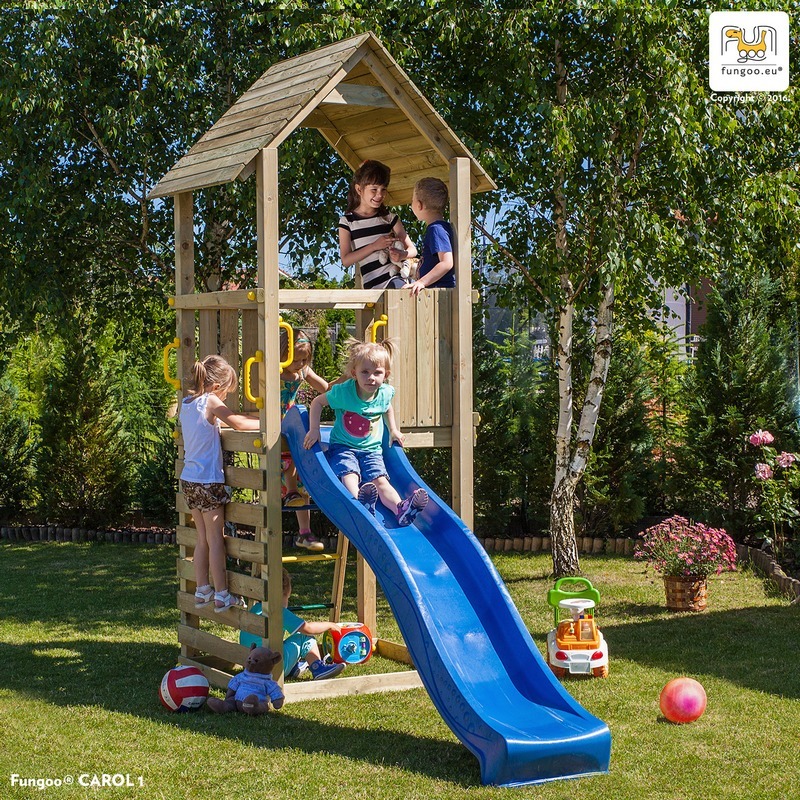 Each model in our offer is of a different size and includes different elements. 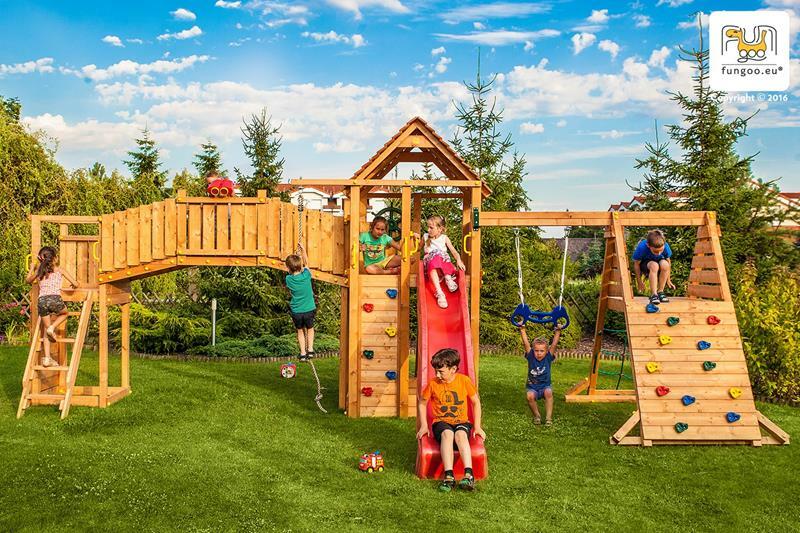 The sets contain not only standard playground elements (like a slide, a swing structure, a flat swing seat, “stork’s nest”, and a climbing wall) but also bridges, ropes, ladders and many more. 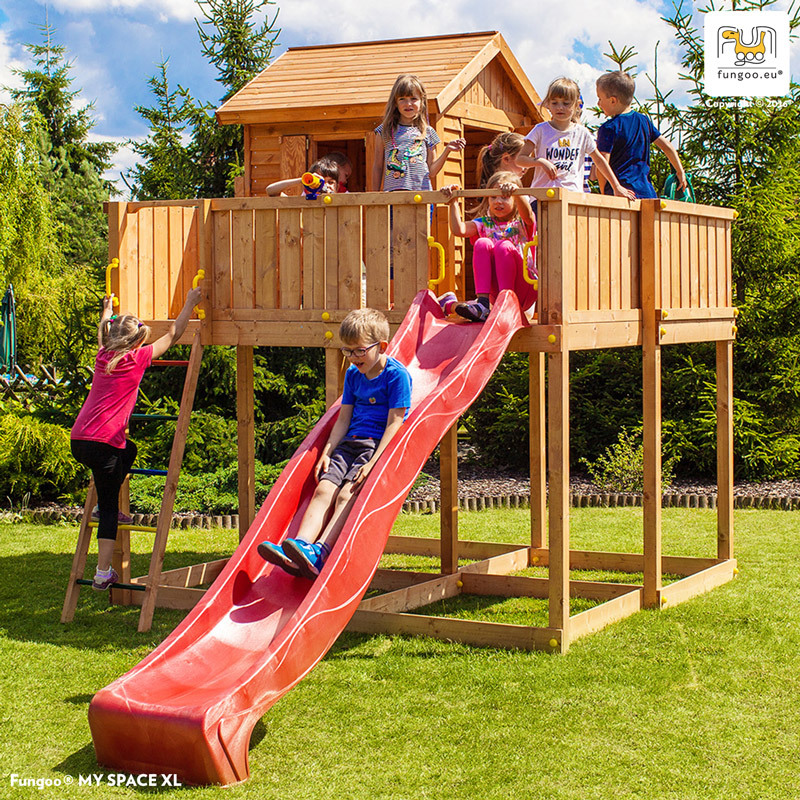 Our aim is not only to produce and sell playgrounds. 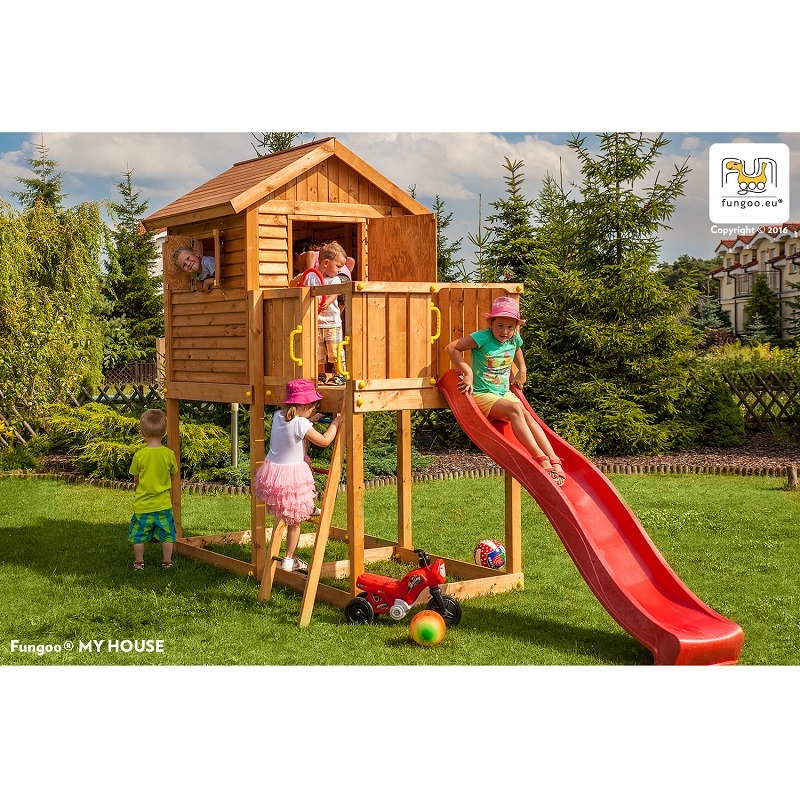 We want to offer you something more and to respond to our clients expectations. 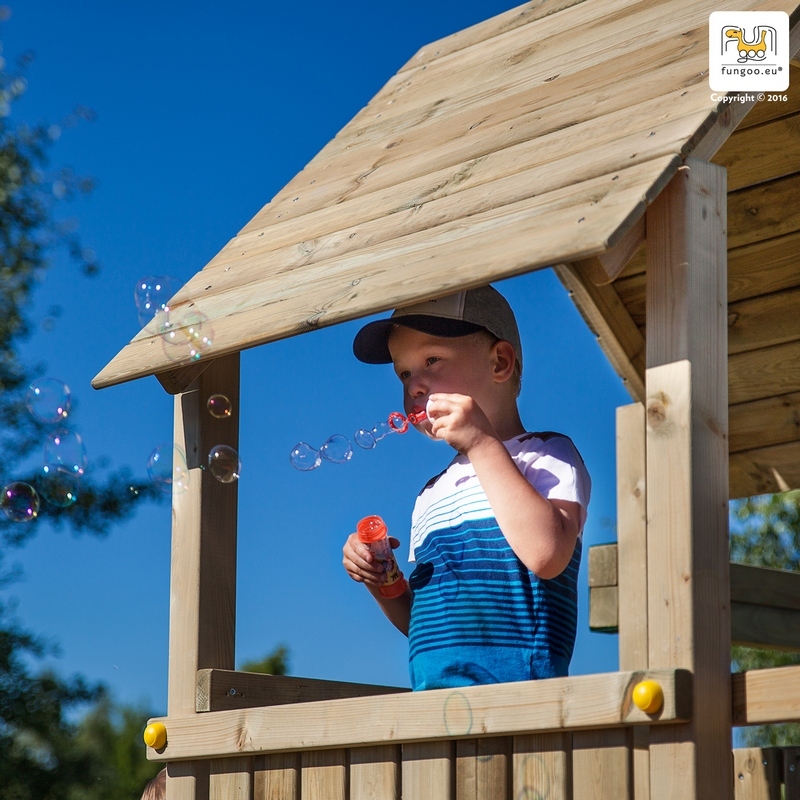 Everybody will find our advice when it comes to the choice of an optimal playground adjusted to children’s age and preferences, available space and financial capabilities. 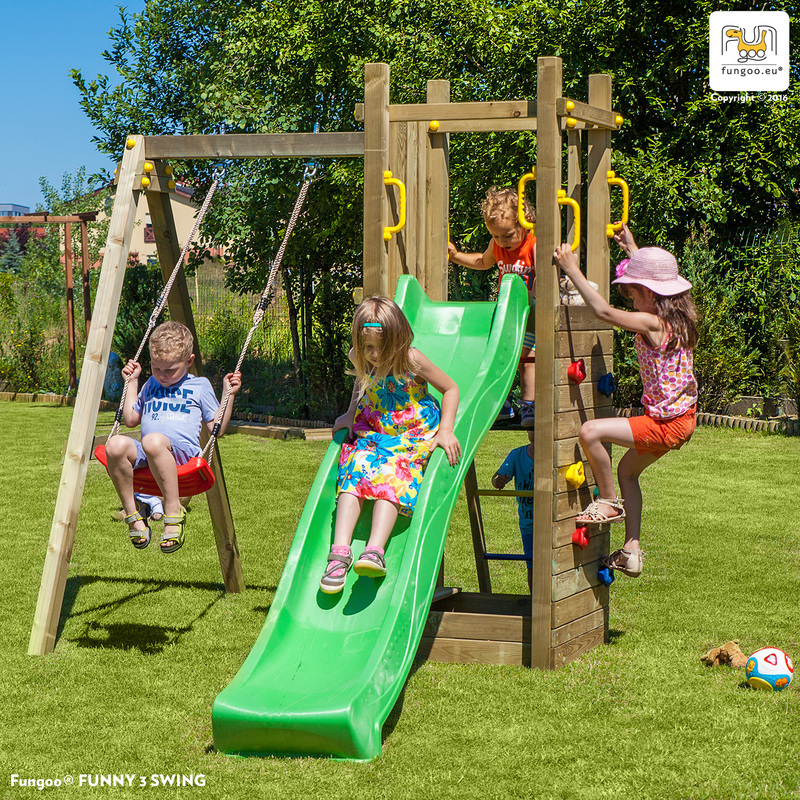 The wide range of FUNGOO products gives great possibilities of expanding the playground. 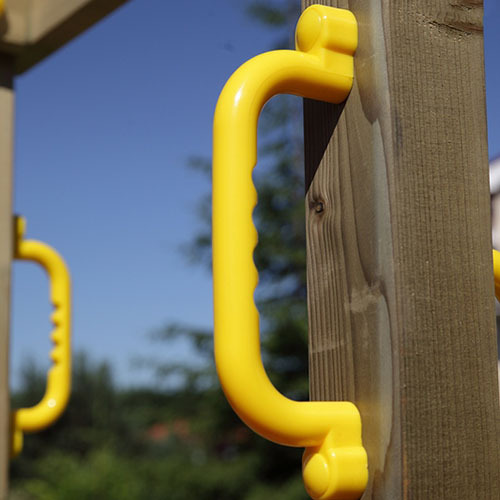 For clients with smaller spaces, we designed smaller playgrounds (FUNNY and CAROL – a: LOW BUDGET PLAYGROUND option). 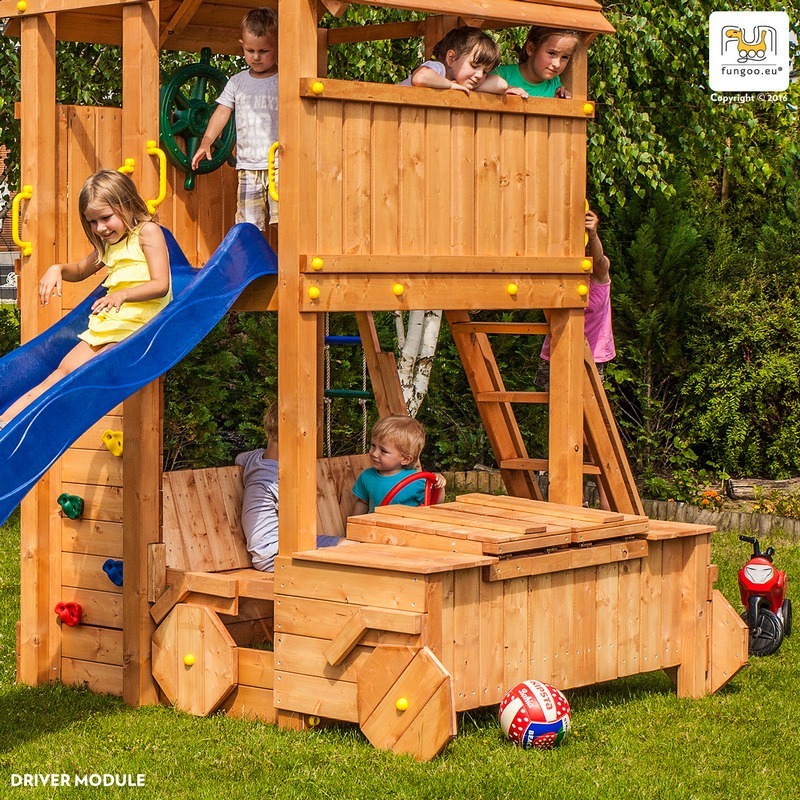 All the products available here are designed for self-assembly, what is a great entertainment at your house garden. 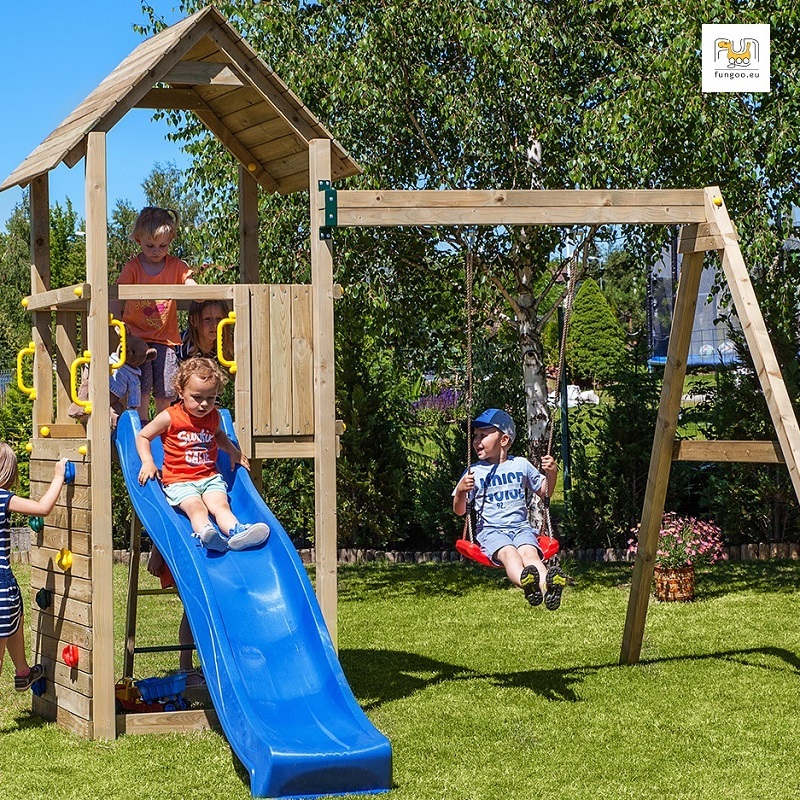 The set includes all the necessary elements, including anchors for fixing the playground to the ground, all the joints and supporting elements like drills and screwdriver bits. 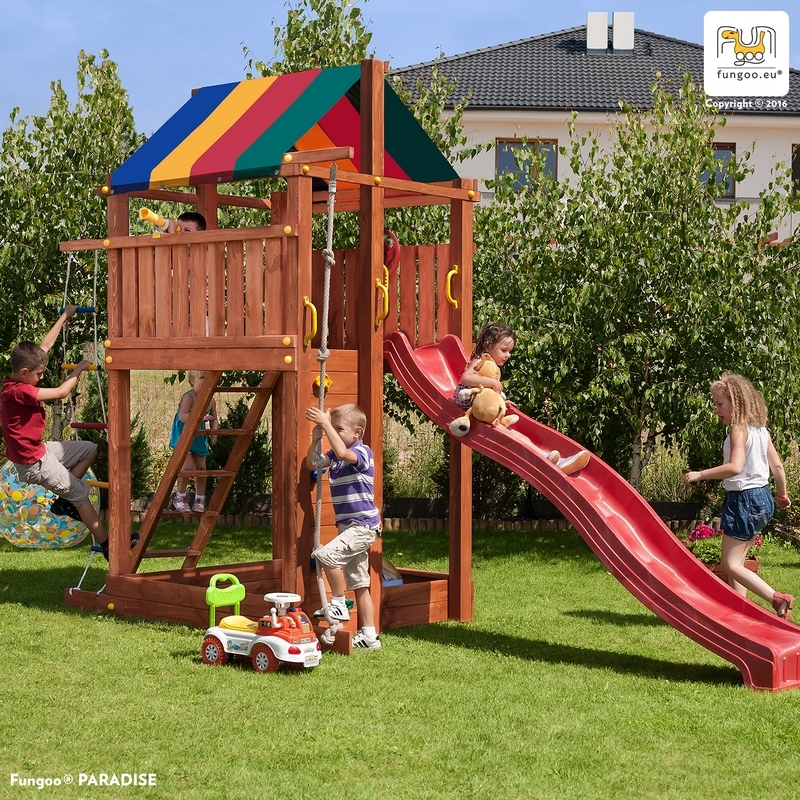 Producing playgrounds is a pleasure for us. 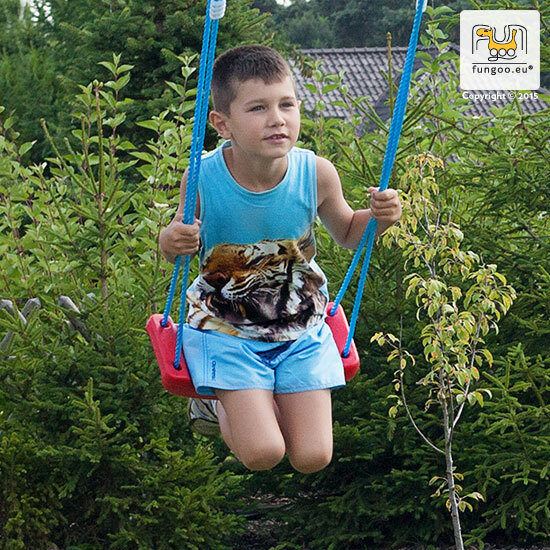 We guarantee you safety, durability and good price matching the quality (we often also have many special offers). 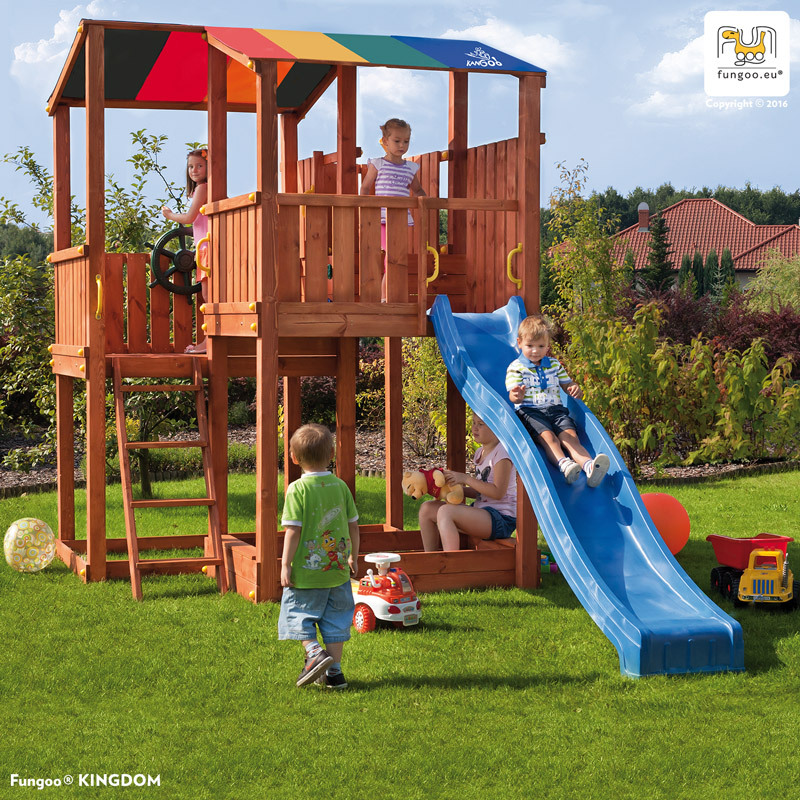 Our playground sets include all the necessary elements. 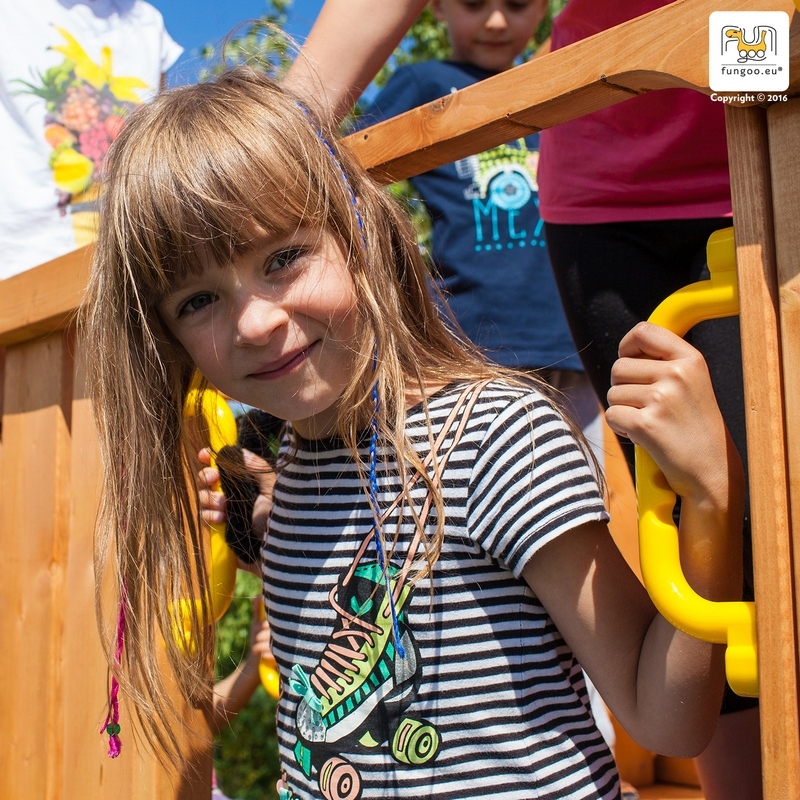 You do not have to worry about anything. 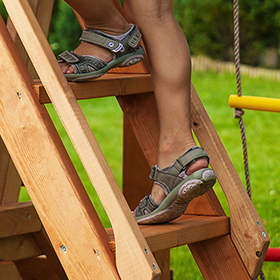 Anchoring legs to position the construction. 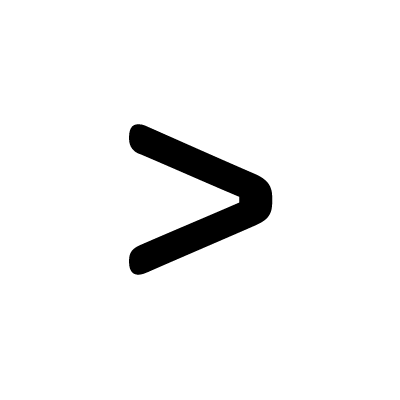 Do you have any questions? 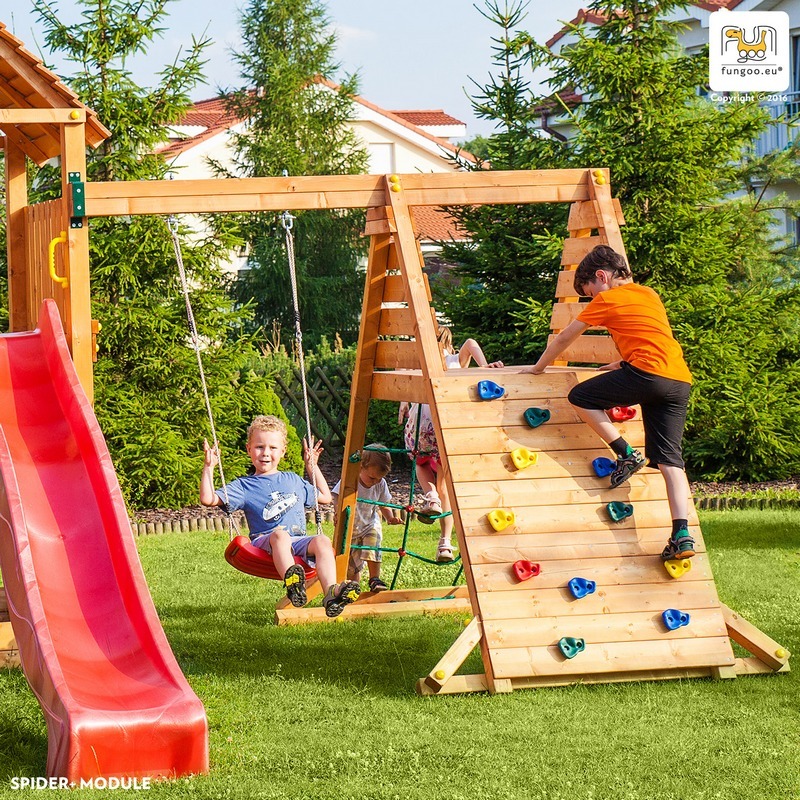 Not sure, what to choose? 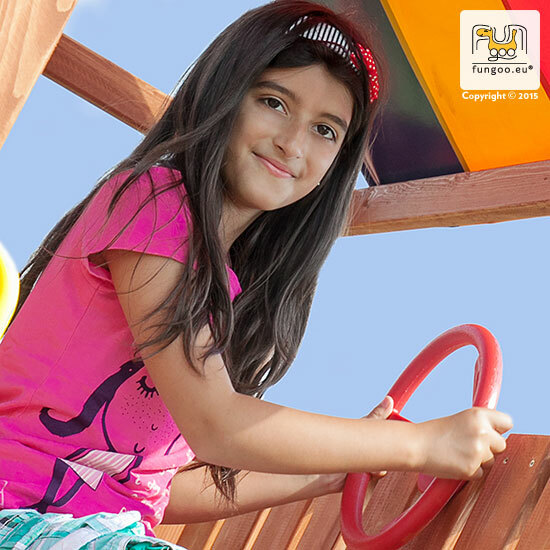 Our experienced team will help you find the best playground for your child. 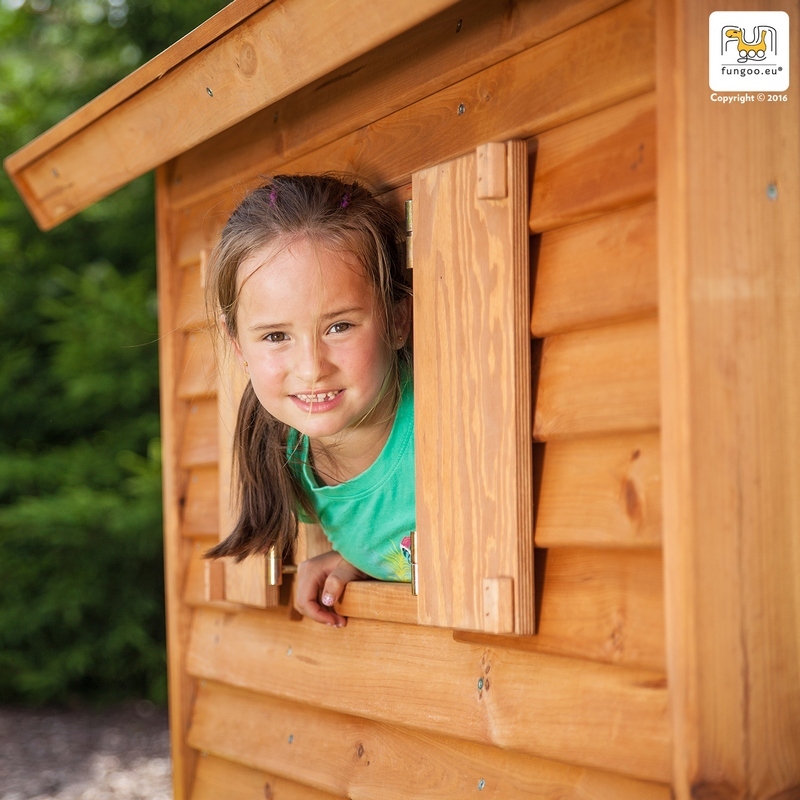 Just write to us or call us – we will help you!